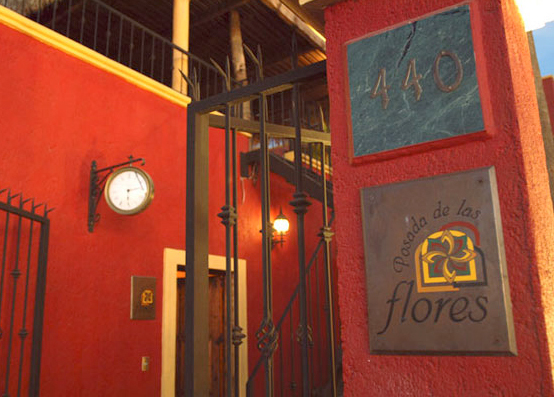 Posada de Las Flores - a place reserved for those people who are always looking for the best. 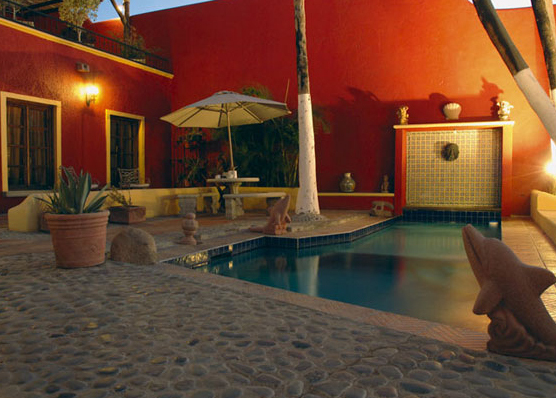 The exclusive ambiance of this boutique hotel blends the comfort of the era of an antique Mexican home with the luxury discerning travelers expect. 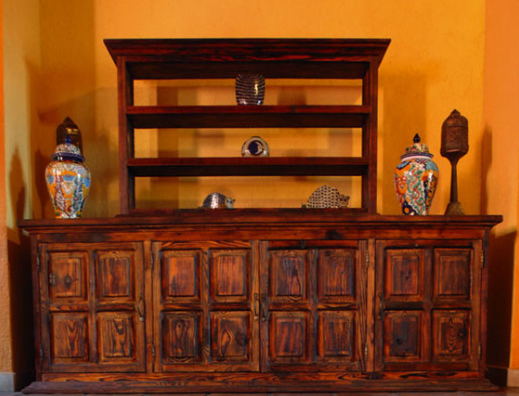 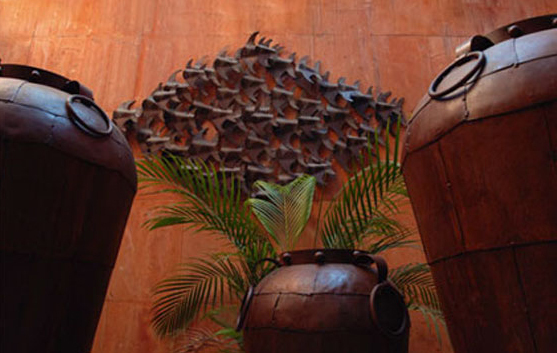 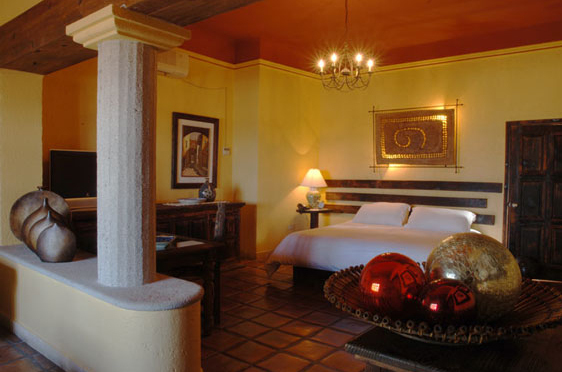 Every detail has been carefully chosen with the basic elements of the Colonial - Mexican decoration. 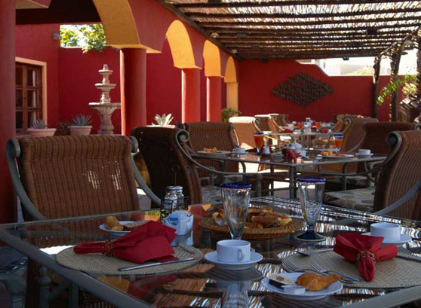 Located on the beautiful La Paz promenade, the hotel occupies an exclusive place in front of the sea offering superb sunset views. 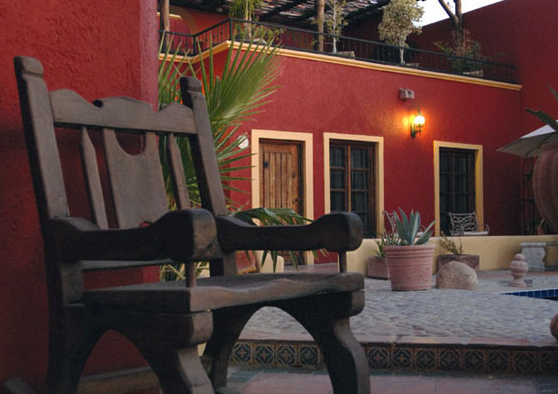 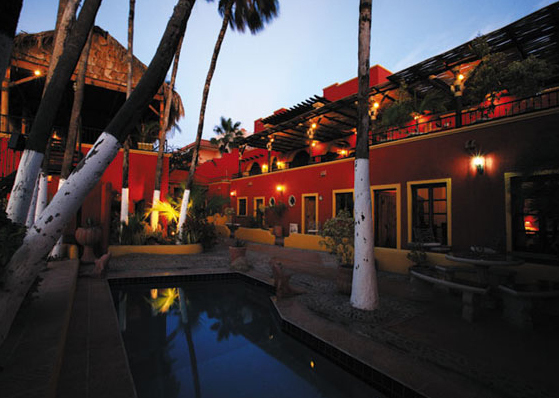 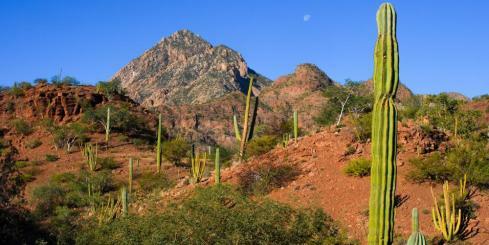 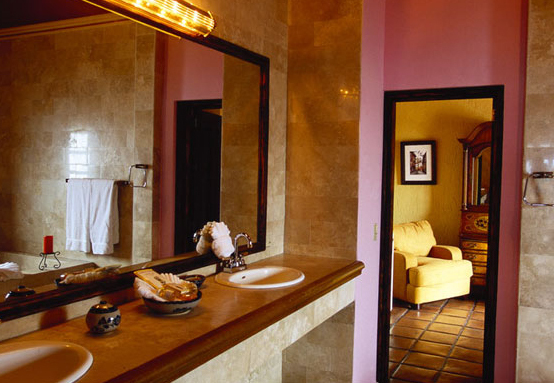 Posada de Las Flores offers guests luxurious accommodation in one of eight rooms. 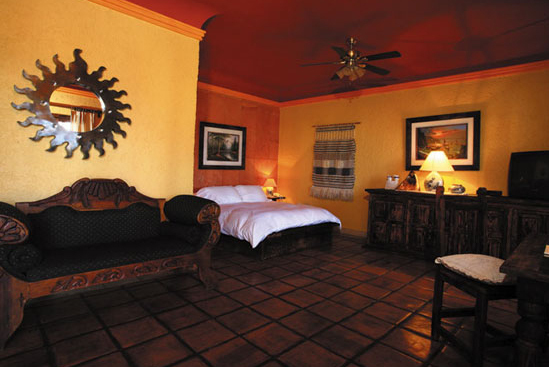 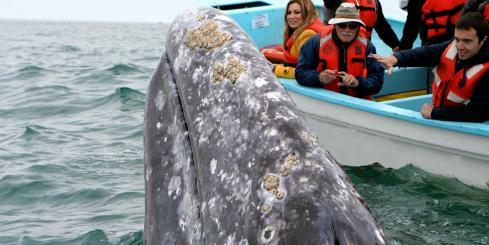 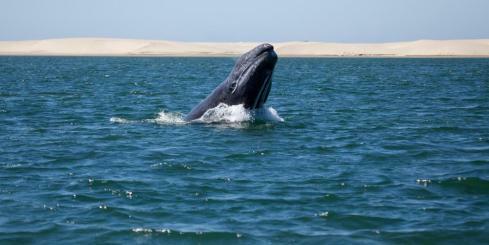 Five standard rooms and three suites are available to guests exploring La Paz. 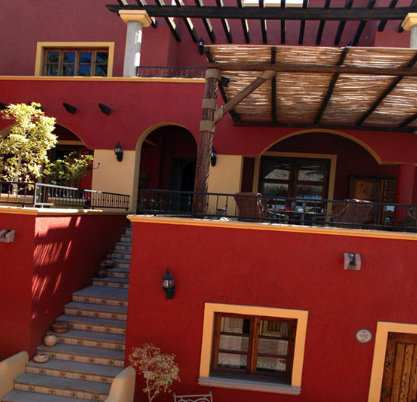 All rooms are fully equipped with air conditioning, 27'' Cable TV, telephone, mini bar inroom, hair dryer, ice buckets, bathroom amenities and coffee service. 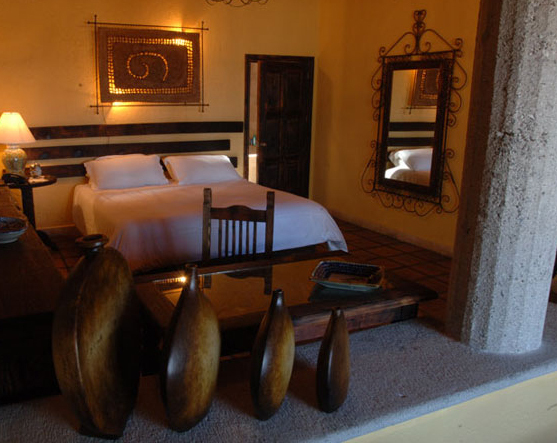 All Standard rooms are furnished with one Queen Size bed, (only one with 2 twins beds), and the Suites are furnished with a King Size bed.